The Running Librarian: 8 ways to kill your intranet and other problems! 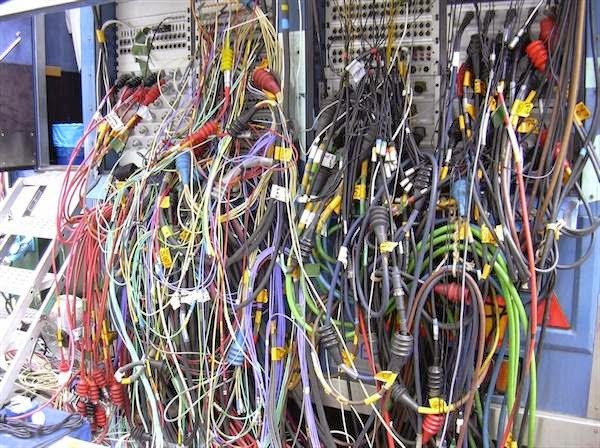 Fancy sorting this mess out? I appear to have been a bit lax (again) about updating this blog so to stop that that in its tracks here are two articles I have read recently about intranets, which I think will be of interest more widely. The first article is from CMS Wire and is called "8 ways to kill your intranet" in the article the author looks at some of the mistakes organisations can make when developing intranets. The first mistake the author looks at is an intranet not being structured very well. All intranet managers should know how important it is to have a good information archictecture in place. However what the author suggests doing is to "focus on maintaining an organisational structure". This would seem to go against what most people believe is a better way to structure an intranet which is by task, but I'm not going to linger on this too much as there are 7 other mistakes! Related to a lack of structure is an excessive amount of parent pages. Now this isn't something you would expect on intranets, wikis certainly, but intranets less so. However the author suggests it can be a big mistake and something that intranet administrators need to keep a close eye to ensure intranets don't get out of control. Another related issue is hiding navigation tools, so this is about ensuring the ways by which users can navigate your intranet are consistent and obvious. So tools like related pages and breadcrumbs should help users find the content they're looking for and help them understand where they are in the intranet structure. A big issue which the author looks at is poor tagging, metadata and labelling, these are all essential to have in place especially to support search. Of course it's all very well having a great structure and perfect search in place if the content that is being returned is old and really poor quality. This is a surefire way to ensure people stop using your intranet. For me these are the most important mistakes to avoid, although the article does list a few more mistakes which organisations can make. Related to this article, is an article I read this morning by Rebecca Jackson. In this article Rebecca asks "How unique are your intranet problems?" and reports on an intranet engagement workshop she ran recently where the problems identified by intranet managers aren't unique and that there is probably somewhere out there who has the same problem, or who has a worse intranet! I think this is important to note when you are trying to address one of the problems listed by Rebecca, knowing that other intranet managers may be dealing with the same problem in my mind doesn't make it seem as big or difficult a problem. This entry was posted on Thursday, 30 April 2015 at 10:06 and is filed under Intranet, Intranets. You can follow any responses to this entry through the RSS 2.0. You can leave a response.